For lunch today, I made potato salad sandwiches, using leftover potato salad. 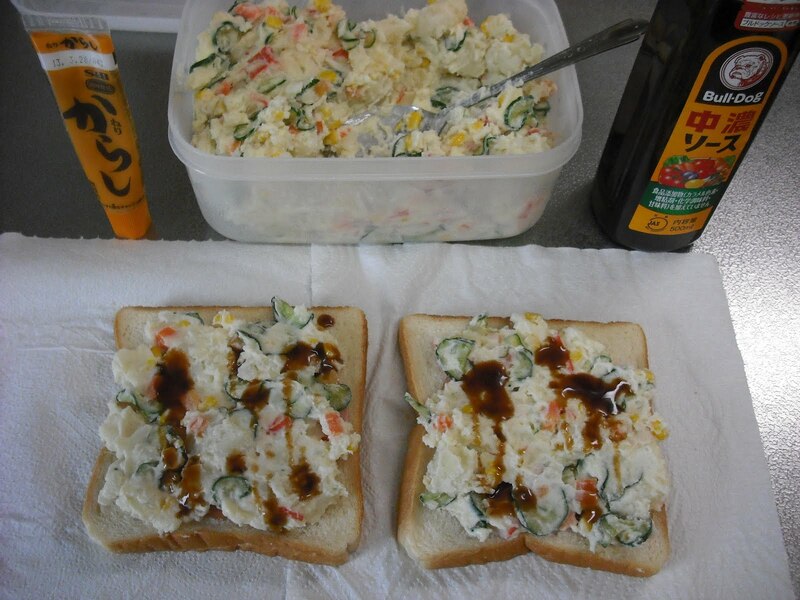 In Japan, potato salad sandwiches are very popular, and I personally like them very much. When I make potato salad, I often make a lot of it, so that I can make potato salad sandwiches for lunch the next day. Although not visible in the photo, I placed one slice of ham on top of each slice of bread. I usually leave out butter or margarine. As shown in the photo, I sometimes pour some tonkatsu or chuunou sauce.